Medical treatment has come on a long way since we used to drill holes in each other’s heads to let out the dreaded migraine demon, and combined amputations with short backs and sides. Even in the past 150 years, medicine has made such staggering leaps forward it’s given itself a hernia, which we can now treat with no problems at all. These giant steps forward in such a relatively short space of time mean that it would be churlish – mean, even – to mock the advertisements for medical paraphernalia in a journal from, say, 1866. That’s what’s about to happen, but it’s worth noting that I’m aware that it’s bullying. 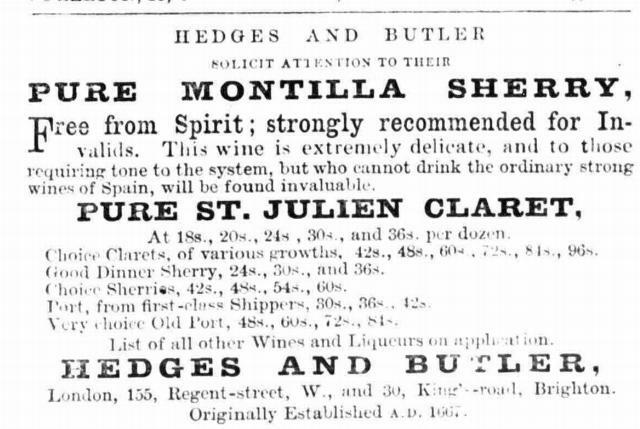 Here are a few ads that we found in one publication – the December 19th, 1866 issue of the Dublin Medical Press, in our newspaper collection. If it wasn’t for those good people at Hooper’s Water Beds and Cushions, we wouldn’t ever have known what a circular cushion was for. We’d be trying to eat it like a leathery doughnut. Are you an invalid? A child maybe? You’re in luck! Edward’s patent cornucopian feeder for invalids and children will relieve all of the problems you experience while sipping a glass lying down. You can grab the cornucopian feeder in plain glass, but if you’re feeling racy there are also coloured options. La-de-da! Too ill to make it to the beach? Have no fear! Just add Palmer’s Sea Salt to your bath and charge yourself too much for soft drinks. Sure, you COULD buy the cheaper, pale brown, Norwegian cod liver oil, but only if you hate your joints. More good news for invalids! If you’re incapacitated you can still get really drunk just as long as the wine is extremely delicate. This is an actual medical journal, so this is basically as good as a doctor’s note. Baron Liebig’s essence of Quorn is lower in fat but contains just as much protein. To find medical oddities of your own, and browse millions of other newspaper and publication pages, visit our newspaper collection today.